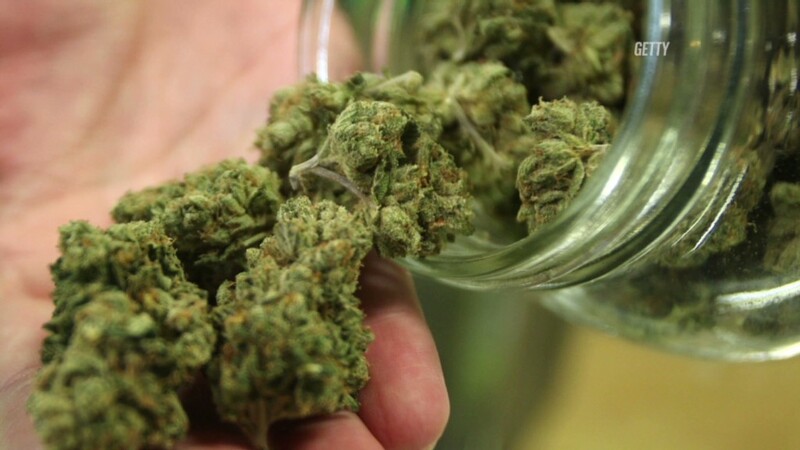 Tourists from around the world are going to Colorado to get stoned legally. "We have a flow of tour buses coming in every day now," said Toni Fox, owner of 3D Cannabis Center, a Denver dispensary with an influx of Japanese and Saudi tourists. "We even get charter buses from Texas!" Fox is billing her dispensary as a "tourist friendly" destination. It has a living-room-style reception room and an 80-foot long viewing corridor with rows of windows so customers can see inside the marijuana greenhouse. "You can literally watch the cannabis you are purchasing grow right in front of your eyes!" boasts the dispensary's web site. Fox estimates that 70% of her 200 daily customers are from out of state. In Boulder, the Terrapin Care Station recreational dispensary gets at least of third of its income from out of state, according to manager Jarrod Guaderrama. "I can definitely tell that all the people from Texas, Georgia, California made this their vacation spot because of legal marijuana," he said. "They'll say they're here because it's beautiful and they're going skiing. They'll say right after that, 'Plus, there's legal pot here.'" The Colorado Office of State Planning and Budgeting says the state took in $19 million in tax revenue from recreational marijuana during the first half of the year. Colorado dispensaries like the 3D Cannabis Center in Denver are sparking a boom in marijuana tourism. But the state doesn't calculate how much of that is from tourism versus local buyers, and hard numbers are difficult to come by. 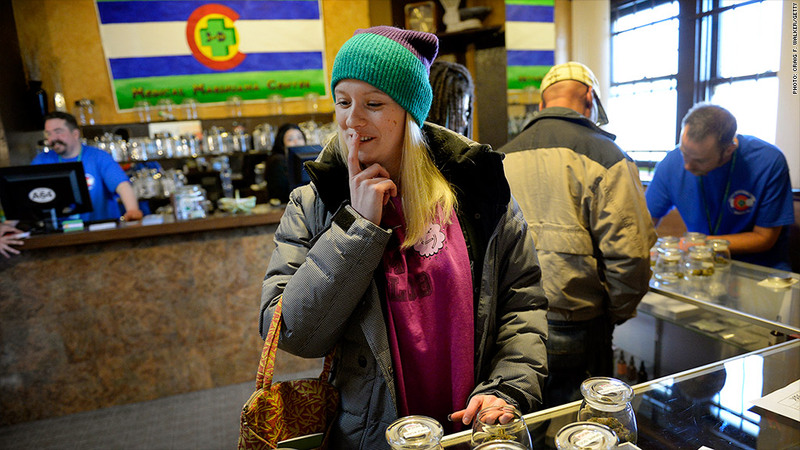 Colorado retailers began selling recreation marijuana on New Year's Day, and in what may or may not be a coincidence, the state also posted a record ski season for 2013-2014. Colorado hosted 12.6 million ski visits according to a local industry group, up 10% from the prior season, but industry executives can't say whether legal pot was a factor. Most ski resorts and hotels don't allow smoking, but there's a niche industry popping up offering so-called "420-friendly" lodgings catering to this segment of tourists. Some bars and music venues also allow smoking in outdoor areas. Entrepreneurs from outside Colorado are also cashing in. Rick Moore owns a bus tour company in Dallas, and started running buses to Denver dispensaries after marijuana was legalized. He charges $400 for the 12-hour trip, which leaves on Thursday and returns on Monday at 3 a.m., and includes two nights in a hotel. Colorado tours now account for about a quarter of his business. "Some people might try to bring something back, but I discourage it," he said. "It's legal in Colorado but outside Colorado it's not, so I don't want anybody bringing it on the bus." He added that not all of his Texan tourists smoke weed, but they still want to visit the dispensaries. "They just want to go because they're curious," he said.